Important for the first month is that the horse learns and understands our leg and rein aids, stays quiet, relaxed and focused. 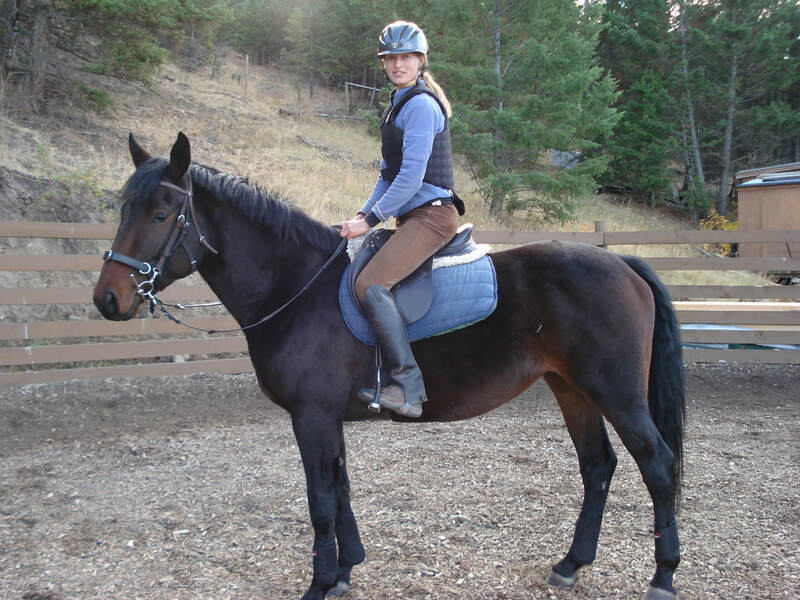 Some horses are very accepting and can get to this point in one month others will require 2-3 months to be comfortable with a rider in walk/trot/canter. 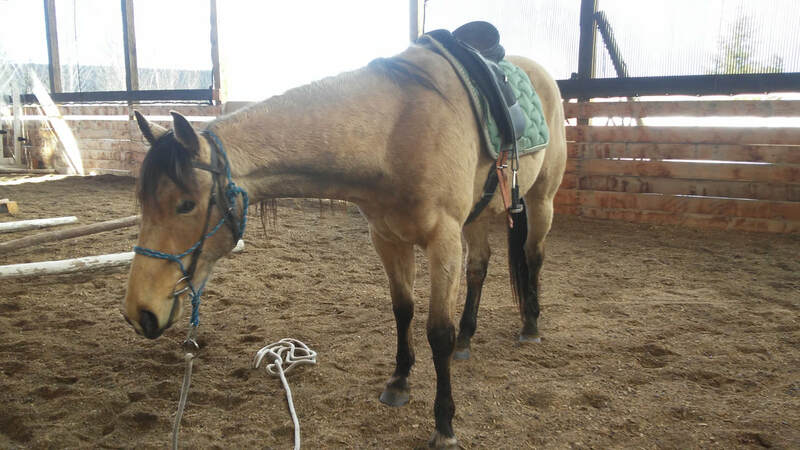 The earliest I want to start young horses under saddle is 3.5 years old, preferably 4 years old to respect their growing bodies. 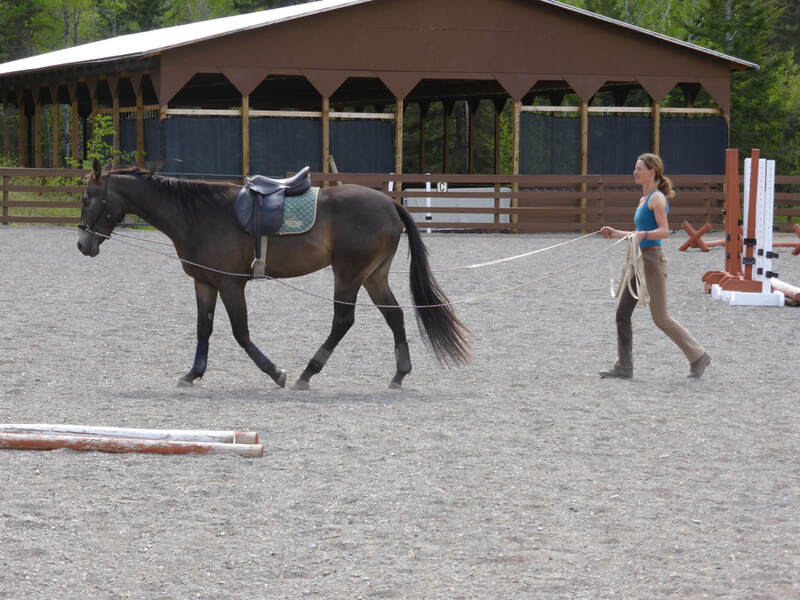 For horses who come for training and not starting we can figure out what your goals and budget are and come up with a training plan. 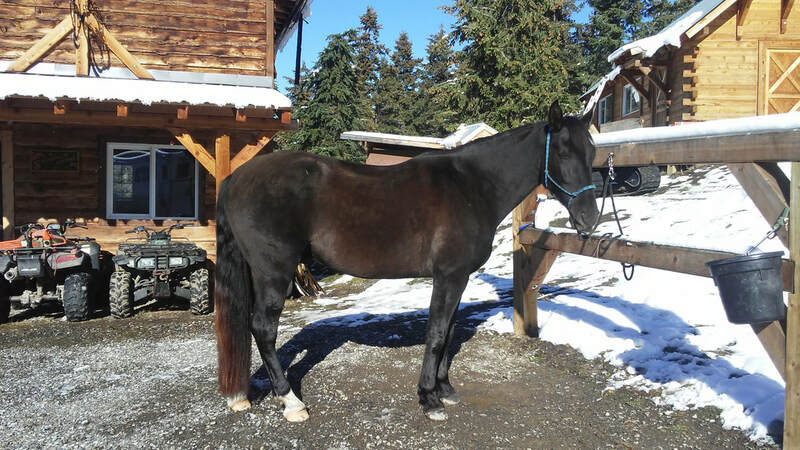 That can include work on particular issues and weaknesses, improving the lightness to the aids, focus, suppleness, flexibility, mobility, balance, impulsion, new movements, gymnastic poles and jumping as well as trail rides. 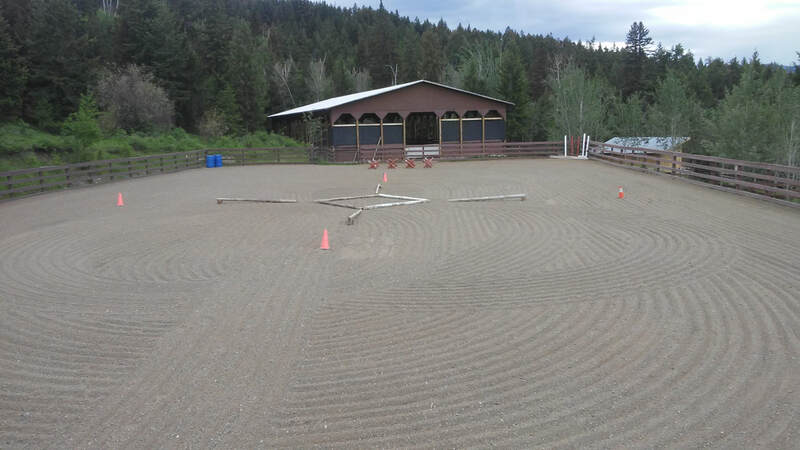 Your horse can be boarded in its own pen or be together with 1 to 3 other horses in a larger area or can join our herd of 4-6 horses who graze on 40 acres at nights and are brought into a holding area for training during the day. This option is only for horses who stay a minimum of one month to warrant integrating them into the herd and the risks involved. Please no hind shoes unless your horse stays in a pen on his own to avoid potential bad kicking injuries. 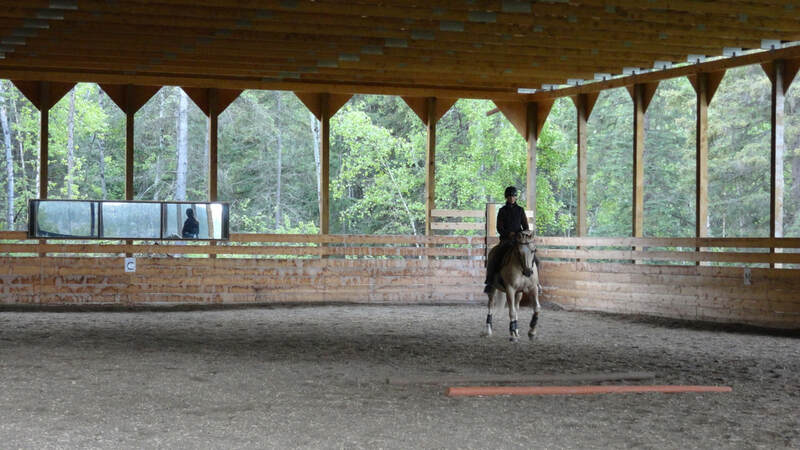 Horses get worked on average 5 days a week and is charged per training session (in case the horse gets worked less as I do go away for weekend clinics or the horse needs an extra rest day). 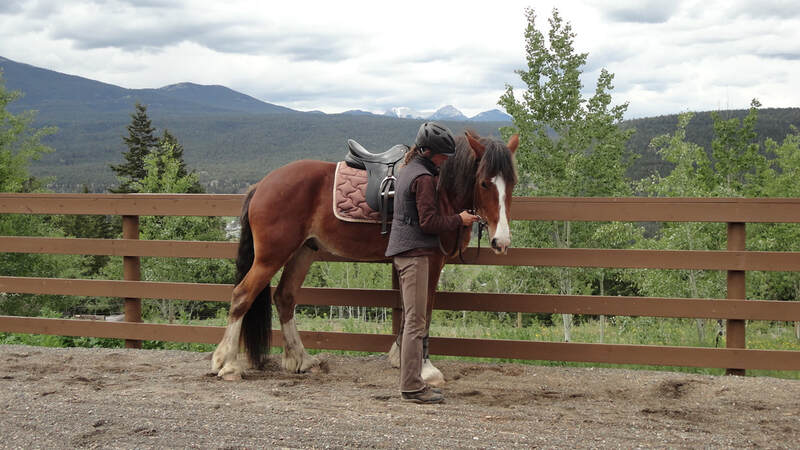 Sessions are usually around 1 -1.5 hours per day including brushing and tacking, groundwork if needed, riding in the arena or on trails.